You can easily place your glasses that are not in use in the case and clip them to a belt loop, backpack or purse, no matter you are on a serious hiking, travel, or just for daily use.It keeps everything within easy reach and protected. Always know where they are. 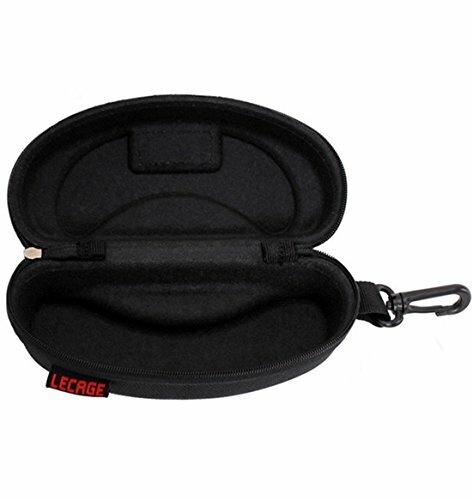 Instead of conventional bulky hard case or sleeve for glasses, preserve light and protective function, totally worry free from scratches.easily clip it to your belt or even slacks and they will never weigh you down while makes your glasses at an instant access wherever you may be.It's a perfect eyewear case alternative for travel or daily use. It does a great job at protecting your eyewear from getting scratched or dinged up, but it's not crush proof and will not protect glasses if sat on or stepped on. FLEXIBLE & LIGHTWEIGHT - fits most size glasses, ultra lighweight that adds minimum bulk and weight while on the go or carrying around. If you have any questions about this product by Brave Tour, contact us by completing and submitting the form below. If you are looking for a specif part number, please include it with your message.